LOS ANGELES, Calif., February 1, 2017 – Remember a time when kids played creative, interactive games together without electronics? Playdate in a Box, created by Mommyprenuer Letitia Fox, is a unique game that promotes social interaction and encourages kids to put technology aside and play with their friends using their own creative imagination. “When my son Dante was two years old, I went looking for activities for him and his playmates. As a busy Mom, I searched for a product that would have interactive and imaginative activities for two kids. I couldn’t find anything original, so I came up with the idea of having an all-inclusive themed box for two players,” Fox said. Playdate in a Box is designed for two players ages 3 and up. The idea is to promote social interaction and provide hours of fun. Currently there are 5 themed Playdate in a Box boxes: The Superpower Girl, The Superpower Boy, Pirate Adventure, Rockstar Diva and Rockstar Dude. Each box contains a “secret scroll” that helps take kids through an imaginative adventure, as well as costumes, stickers and markers with which kids can customize their playtime experience. “My dream is to inspire children to use their own creative imagination – with a little help from my product – and make a positive difference in their adult lives,” Fox said. 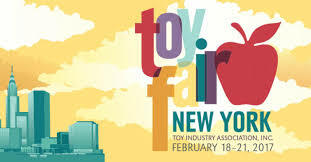 Playdate in a Box will be exhibiting at the New York Toy Fair in the Launch Pad, Booth #4511, February 18-21, 2017 at the Jacob K. Javits Convention Center in New York City. Letitia Fox will be at the booth all 4 days and is available for interviews. To learn more about Playdate in a Box visit www.artfulplaydate.com or www.playdateinabox.com, watch Playdate in a Box YouTube videos: "Social anxiety is real" and "Bring old school play back", or contact Letitia Fox directly at 310-706-1438.